Everyone Needs an Estate Plan! Most people do not like thinking about their own death or the death of family and friends. 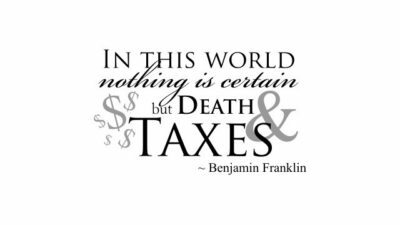 Benjamin Franklin famously wrote: “… in this world nothing can be said to be certain, except death and taxes.” Simply stated, the reason to have your own estate plan drafted is to provide for the orderly administration of your affairs (financial and otherwise) in the event of your incapacity or death. For many, the words ‘estate plan’ conjures images of luxury and affluence, though everyone, regardless of financial resources should have an estate plan. To help prove our point, here are some of the top reasons each of the following personas should make creating/updating their estate plan a priority. Single people, both young and old, may laugh off the prospect of needing an estate plan. While they have no spouse or children to provide for, they certainly do need to make provision for their own end-of-life care and the distribution of their financial assets upon death. A will (more formally known as Last Will and Testament) is a legal instrument that stipulates how you would like your personal assets (jewelry, vehicles, art, etc.) and financial assets not otherwise governed by contract (such as life insurance, retirement accounts, joint tenants with rights of survivorship accounts and trusts) distributed after your death. In the event you die with assets in your name without a valid will (all wills must be recognized as valid by an applicable court), your assets will be distributed according to the intestacy statutes of your home state. For example, should you die as a single person in Massachusetts with no children, both of your parents, if living, would inherit your estate equally. If neither parent is living, your estate would be split equally among your living siblings (children of a predeceased sibling get nothing!). Should you die without any children, spouse, parents or siblings, your estate would be shared equally by your closest extended family members (could be first cousins, second cousins, etc…). As you can imagine, you may end up enriching members of your extended family you may barely even know, while your close friends may be left with nothing. More importantly, for single people with no children estate planning documents are instruments that help provide for your care as you age. A power of attorney is a legal instrument where you appoint one or more people (close friends, family or advisors) to serve as your agent to handle financial matters. Often, this may be simply signing checks on your behalf, but it may also include selling real estate or other similar transactions. Powers of attorney need not be used only during periods of incapacity – but can be used as a convenience if you are traveling (as is often the case for unmarried professionals). Perhaps the most important instrument for single persons is a health care proxy (in other states this may be referred to by a similar name, such as a durable power of attorney for healthcare or advance directive for healthcare). In short, you designate an individual to make medical decisions on your behalf in the event you are incapacitated. Accidents can happen to anyone, regardless of their health and age. Spouses are afforded some leniency in making medical decisions for their spouse in most states, but this is not the case for single people. Perhaps the most important reason people with children need an estate plan (in addition to the reasons mentioned above) is to appoint guardians for minor children. Regardless of whether you are married or not, unless you appoint successor guardians for your minor children in your will, your children may be subject to undesired court involvement and oversight (often against your wishes) until they reach the age of 18. In addition, any financial resources left outright to minor children may also be subject to oversight and control (again, potentially against your wishes). The simplest way to avoid having the trauma of an unexpected death become even more traumatic to those most important to you is to appoint successor guardians for your children in your will and provide for their financial care either via your will or a trust. The person who you designate to raise your children does not also have to be the one to handle the finances. Individuals with assets of more than $1 million are subject to Massachusetts estate taxes and assets of more than $5.49 million are subject to federal estate taxes. Massachusetts rates start at 0.8% and progressively increase up to 16%, while federal rates start at 18% and quickly increase up to 40%, thus making estate taxes huge contenders for a family’s savings. Unlike death, estate taxes can often be reduced or eliminated with proper prior planning and time. There are numerous legal strategies to accomplish this task that are far beyond the scope of this post, while many times also advancing charitable giving goals too. This post is by no means an exhaustive estate planning primer. Rather, the goal is to emphasize the need for everyone, regardless of their walk or state in life, to have an estate plan. Sapers & Wallack is a holistic financial services firm specializing in employee & executive benefits, insurance and wealth management. We are not a law firm and do not draft documents, but work with families to design their estate plans in conjunction with their attorneys (we are happy to make a recommendation if you do not have an attorney), ensure they are executed, and most importantly – implemented. Having an estate plan will give you peace of mind, knowing that your affairs and loved ones will be provided for according to your wishes when you die, so you can live your life more fully!